Having a reverse osmosis system phoenix installed in the home will eliminate the costs of bottled water, provide purified water on tap, and result in a high return on the investment. Particles, chemicals, and bacteria are removed leaving clear water that is healthy and tastes great. The efficiency of the system will depend upon the brand of system selected, and the expertise with which it is installed. External pressure is applied to water to force it through a series of either three of four filters and one thin membrane. The filters before the membrane are referred to as pre-filters. In some systems there is a fourth filter, which is actually a secondary carbon filter that is placed after the membrane. These filters and membranes will all have to be changed periodically. The average homeowner will need to replace filters annually, and the membrane every two years. 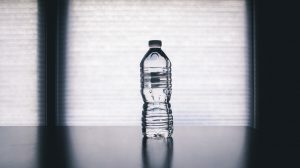 If the demand for water is high, or the water contains high levels of sediment, it is recommended that filters be changed every six months, and the membrane every two years. Larger systems with four filters nay not have to be replaced as often because they are designed to filter water better and for longer periods of time between changes. The experienced installer will advise when to change filters based in the condition of the local water supply. Because applied pressure is a key component of this type of system, a great deal of water is needed on a daily basis. Most of that water will be drained as waste water. This can be hard on a septic system and increase the demand for city water. The homeowner will notice a higher water bill, but will still enjoy a high return on the investment. It is important to keep this in mind when looking at systems. Select one that is extremely efficient to decrease the water demand. In some areas where water shortages or drought is prevalent, there may be local restrictions on the installation of reverse osmosis systems. Be sure to double check before purchasing a system. Some people do not realize this system is designed to work on one tap, which is usually the kitchen sink. The system sets under the sink so it is not in the way of normal activity. Homeowners who prefer to improve the condition of the water throughout the house will want to research water softener systems, or whole house filtration.